Throughout the festival we present the very best of recognised and emerging female talent across all fields including politics, the arts, economics, fashion, science, health, sport, business and education. WOW also celebrates International Women’s Day on Friday 8 March with free mass speed-mentoring. Check back here as more events go on sale over the next few months. 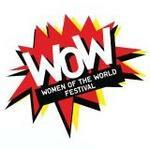 Southbank Centre is grateful to Ms Miel de Botton and Ms Mercedes Zobel for supporting WOW 2013.